JERUSALEM: Israel reimposed a blockade on fuel deliveries to Gaza yesterday citing a resurgence in kites carrying firebombs over the border and signalling a brief pause in tensions may be ending. After two deadly military flare-ups in the Gaza Strip and a ceasefire brokered by Egypt and UN officials last month, the number of firebombs being launched over the border to burn Israeli farmland had diminished. “The decision was made in light of the continued terror with Molotov cocktails and the friction on the fence,” Lieberman’s office said, referring to months of clashes along the Gaza border between the army and Palestinian protesters. A previous ban on fuel deliveries last month had resulted in warnings from UN officials that emergency fuel supplies were running low and the shortage was beginning to affect hospitals and water sanitation. The coastal enclave, run by Islamist movement Hamas, suffers from a severe lack of electricity and relies on fuel-powered generators during outages that last hours at a time. 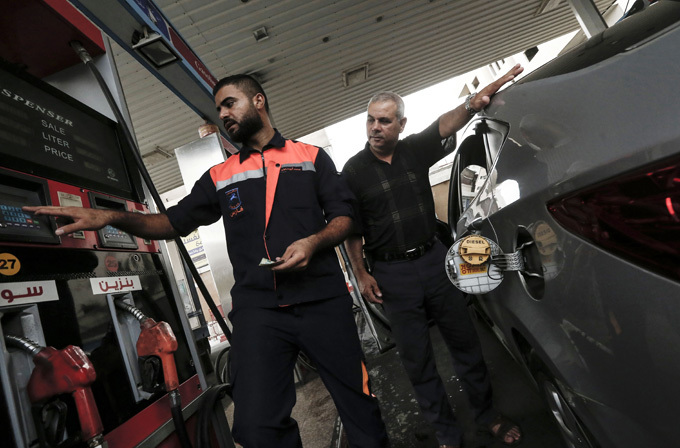 Israel closed the crossing to most deliveries on July 9 in response to the firebombs and border tension before tightening the blockade to cover fuel on July 17. It lifted the fuel ban a week later. Deliveries of food and medicines have continued throughout. Months of tension on the Gaza border resulted in two separate military flare-ups in July. The first, on July 14, saw dozens of Israeli air strikes that killed two Palestinians, while some 200 rockets and mortar rounds were fired from the enclave at Israel in response. It was the most serious exchange of fire between Israel and Palestinian militants in Gaza since a 2014 war. On July 20, Israel unleashed a wave of strikes across the territory after a soldier was shot dead on the border. Three Hamas militants were killed in the strikes. UN officials and Egypt brokered a ceasefire after the July 20 violence that resulted in a drop in tensions.